The Lexmark Z607 is not a printer with which you may be overly familiar, but this is perhaps a result of the purpose and design of this printer. It cannot be denied that the Lexmark Z607 is designed with the small home tasks in mind and if you're seeking a more sturdy, top of the range home printer, this might not be the ideal number for you. Still, the Lexmark Z607 offers a fair few perks, here are a selection of them. Firstly, in terms of overall look and design, the Lexmark Z607 is hardly going to produce feelings of love and admiration, especially when compared to other more attractive Lexmark printers. It is, in truth, something of a small grey box, but a cleverly put together one at that. A curved finish gives the Lexmark Z607 a touch of personality, but doesn't really take your breath away. The key advantages of any office based printer are speed and reliability and thankfully, the Lexmark Z607 offers both these aspects in abundance. As such, if you are looking for a printer which can produce high quality results in no time at all, then the Lexmark Z607 should be on your short-list, without a doubt, even if it is a fairly basic model. 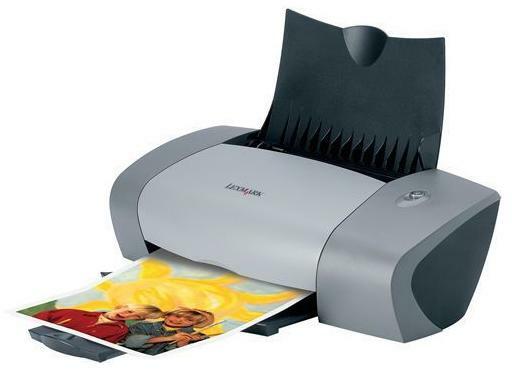 The Lexmark Z607 is hardly an eye catching piece, but it is a fine example of a budget printer and one which will no doubt see your needs met with ease. It has limitations of course, but as long as you are aware of these limits, the Lexmark Z607 is a fine addition to any home set up.